Poliakov Vodka strikes again! They’ve brought us the hottest artists for years and now it’s time for a new world order! Poliakov Vodka is bringing two of the most influential dance music DJs to battle it out on stage in Beirut. 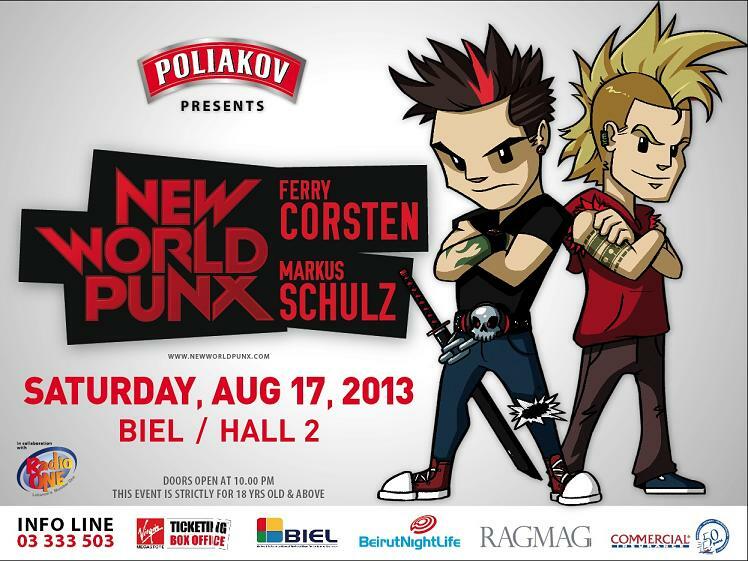 Ferry Corsten and Markus Schulz will be live in Beirut at BIEL in Saturday August 17! Who doesn’t remember Ferry Crosten and Markus Schulz’s hit songs “Punk” and “The New World”? Well put them together and you have the New World Punx, an electrifying duo that will take you to a different world. You can expect to experience a harder, more driven and more aggressive sound than the melodic and euphoric sounds you’re used to. The hybrid collaboration between Corsten and Schulz was started when the two friends played a few spontaneous sets together, and has evolved to the pair recording songs in the studio and performing side by side on stage under the dynamic new identity and name. Don’t miss this massive dance event as the two superpowers come together on stage right here in Lebanon! This event is strictly for 18 years old and above. Waffles! Waffles! Come Get Your Waffles at L’eau A La Bouche!